Unify in order to Beautify. Attracting Art. Wavespell of Elegance. Perpetual 13-day Wavespell. 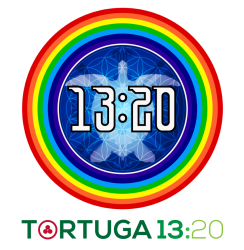 Last appearance from 13 until 25 October 2018. This is the last Tzolkin Wavespell of the Dreamspell Count, and the last Wavespell of the Green Central Castle of Enchantment! Dreamspell: Green Central Castle of Enchantment. 4 Wavespells from Kin 209 to Kin 260. 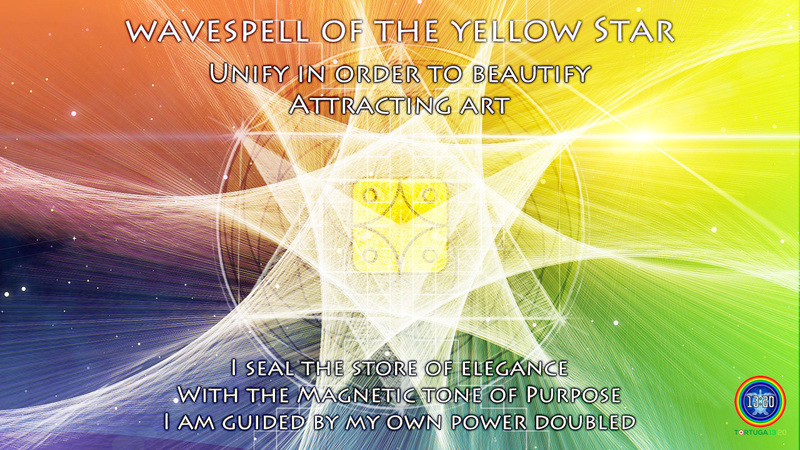 The Yellow Star Wavespell relates to the 13:20 natural frequency of “Time is Art“, discovered by José and Lloydine Argüelles in 1989. This was the culmination of their years of study and practice of the principles of Dharma Art: “Art as Everyday Life.” The new Law of Time is Art of the Argüelles helps humanity to counteract the false principle of “time is money” and its consequent planetary devastation. Therefore, it contributes to beautify our Planet Earth through Art! From an Ancient Maya perspective, the glyph of Lamat (Star in the Dreamspell) represents the Planet Venus and it was believed to be auspicious for their “sacred wars” and for the dedication of temples and monuments. From a Sacred Geometry perspective, this glyph relates to the Star of David or Merkaba, which is coded by number 33. This Merkaba Star represents the human light body and the perfect balance of the masculine and feminine principles. Kin 248 (1 Star). 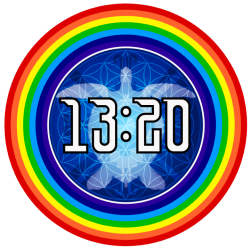 It encodes 8.1 (Seal 8, Tone 1), which is a fractal of Synchrotron’s BMU 81 which is akin to Unit 1 of the 19:19 Crystal Matrix. The synchronisation of both matrices indicates that during Valum Votan’s Ascension (Day 241 of the Solar Year), he exited his prophetic Telektonon’s Warrior Cube through Synchrotron BMU 81, in order to enter into the Pyramid Hologram of his prophetic twin, Pacal Votan (19 Matrix, Unit 1). The conclusion of this process was Galactic Synchronisation 2013 = The Twins Ascended from the Cube = Telektonon Lover’s Reunion (Pakal/Tz’akbu & Valum/Bolon Ik). Learn more about Valum Votan and the synchronisation of matrices. Also, code 8.1 inverted is 1.8 which is a fractal of 18 and Kin 18, the Ascension Kin of Queen Tz’akbu of Palenque. Kin 250 (3 Dog). 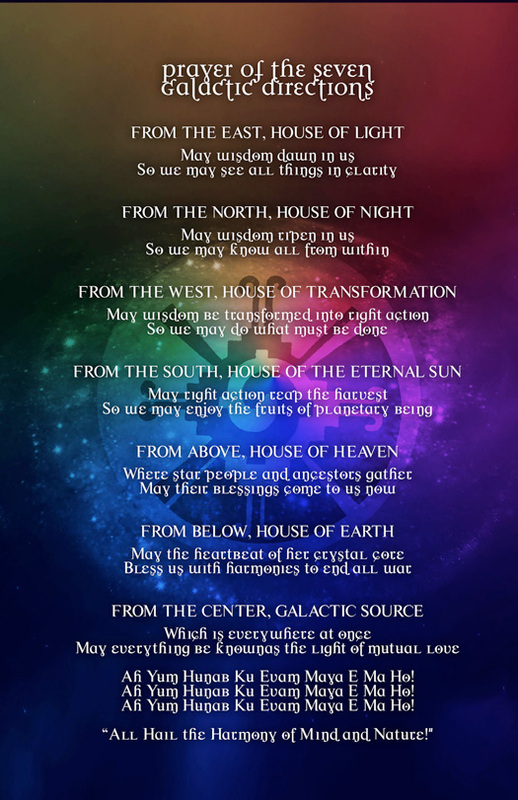 It opens the Galactic Season of the Dog (White Spectrum of Love and Loyalty). Root Element: White Truth. The Love Season covers 65 days from Kin 250 to Kin 55. Kin 251 (4 Monkey). The well-known Kin of the 9-11 event, the fall of the Twin Towers (9 September 2001). 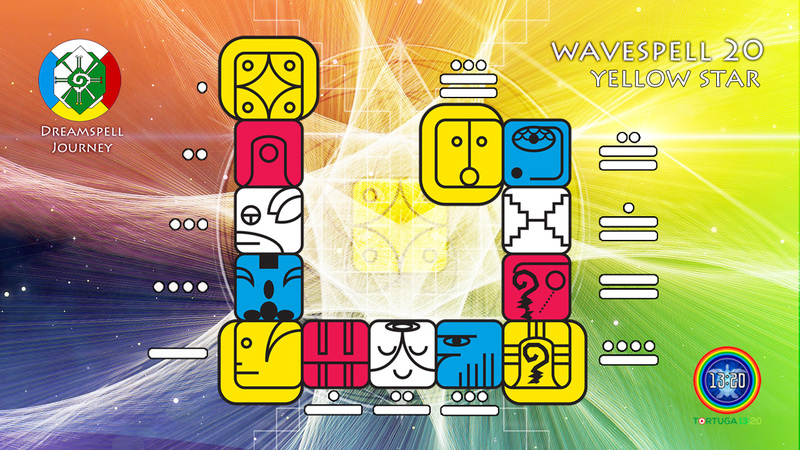 Kin 251 syncs with 10 Chikchan Kin 205, the sign of Valum Votan (VV) in the Ancient Maya RealTime. Alongside Bolon Ik (BI), he decoded this event in this blog that we have reconstructed from the historical Tortuga website: The Fall of Babylon and the White Horse. Actually, Valum used most of this decoding in his last bestseller book: “Time and the Technosphere” (2002). Basically, 9/11 was seen as the beginning of the Fall of Babylon. However, the dimensional shift has brought new revelations and it is feasible to sustain that 9-11 also meant the beginning of fall of the Twin Archetypes (Valum & Bolon Ik) in the hands of Babylon. 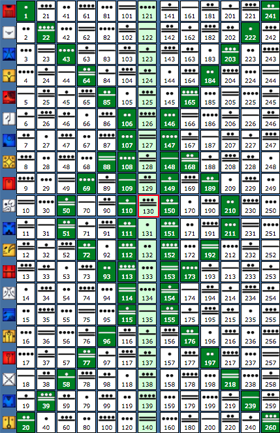 This is because Kin 251 (4 Monkey) encodes 4.11 = 4×11 = 44 = 22+22 = 11+11+11+11 = Twins VV (11.11) & BI (11+11). Let us remember that VV was 44 years old when he married BI. Also, the Unified Kin (RealTime + DreamTime) of the discovery of the tomb of the Queen of Temple XIII is Kin 44 (16/5/1994 was 9 Kimi Kin 126 + 9 Mirror Kin 188 = Kin 44). Finally, the 9-11 Code is equivalent to Kin 89 (11 Moon = Seal 9, Tone 11) and Kin 191 (9 Monkey, Seal 11, Tone 9). The first one marked the Ascension of Valum (Kin 89, Coded 9.11) and the second one marked the White Wedding of VV & BI (Kin 191, Coded 9.11). 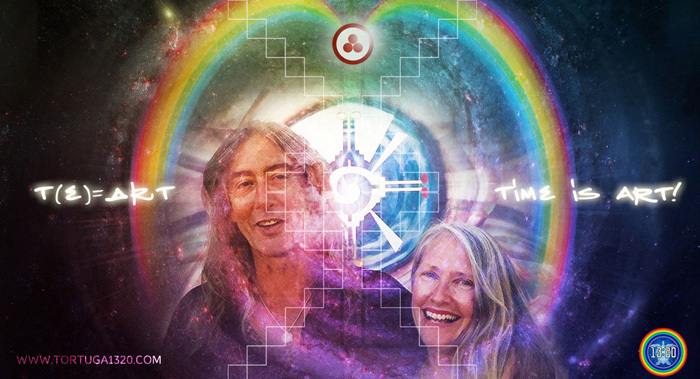 This Sacred Union was restored through the Dimensional Shift, the Journey of Timeship Earth 2013, the Galactic Seed Synchronisation of the Telektonon Lovers ReUnion (DreamTime Telektonon) Learn more layers about 9-11 in this blog by Kin 113, “9-11 and the End of Artificial Time“. 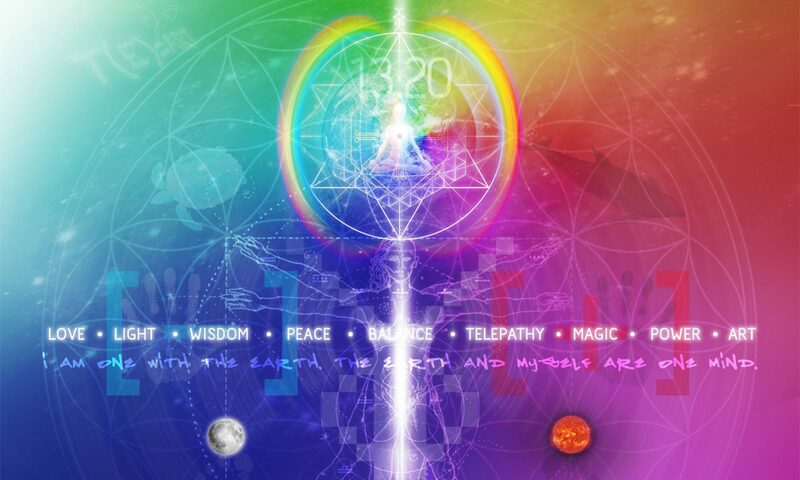 Kin 254 (7 Wizard): The bearer of the 7th Year of Prophecy (26 July 1999 / 25 July 2000), according to the Telektonon of Pacal Votan, presented by José and Lloydine Argüelles on behalf of Pacal Votan and Bolon Ik. Therefore, Kin 254 was the year bearer of the Earth Wizards Seminary 1999. 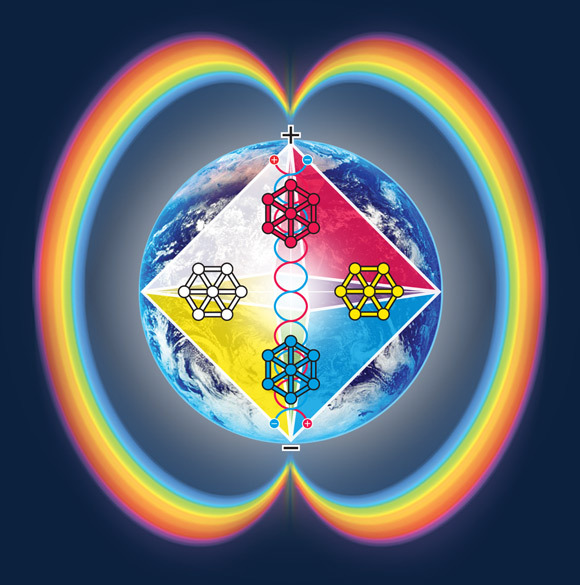 The 7th Year of Prophecy culminated with the Ejection of the Circumpolar Rainbow Bridge, presented by Valum Votan and Bolon Ik by the first time on the Day Out of Time 2000 (7 Mirror, Kin 98). Kin 256 (9 Warrior). It encodes 8.9 (Wavespell of Seal 8, Tone 9) which is a fractal of Valum’s Kin 89 of Ascension. 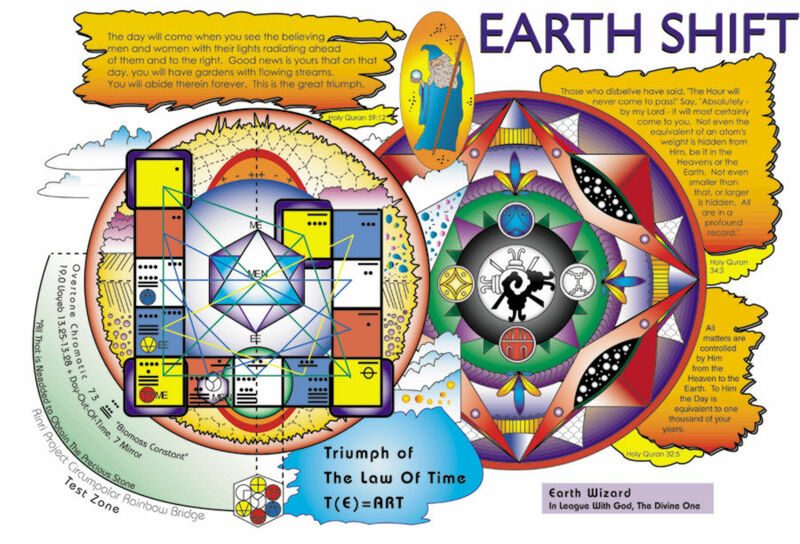 He was also rotating as 9 Warrior during his Solar Cycle number 38 = 19.19 in the year he wrote: “The Feminine: Spacious as the Sky” (1976) co-authored with his former wife, Miriam Tarcov. In the same year 1976, and rotating as Kin 256, Valum visited Palenque by the first time. Equally significant, Kin 256 was the 3rd day of the 7th Year of Prophecy (7 Wizard Year 1999-2000) and it marked the opening of a new terma, or hidden knowledge, in the prophetic ministry of Valum Votan and Bolon Ik. On Kin 256, they were shown by the first time the new discovered Throne of King Ahkal Mo’ Nahb (grandson of Pakal) in Temple XIX (19, Palenque). 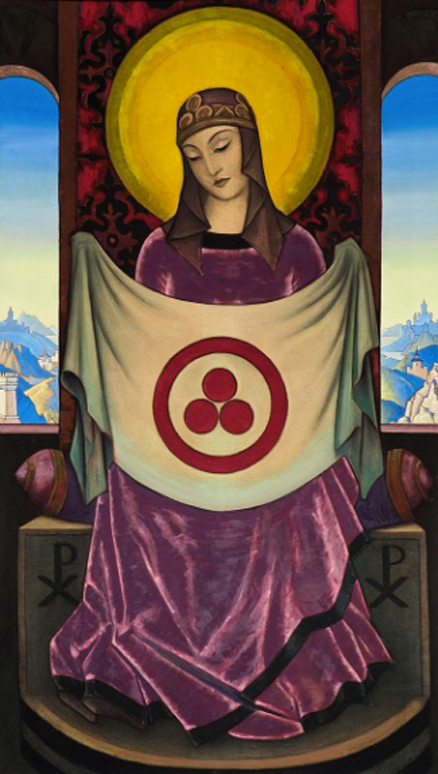 The symbolism and the dates of the Throne confirmed the Avatar of Bolon Ik and activated the “Revelation of the Throne and the Tomb” that brought the Seven Major Arcanum of the New Time (Throne, Avatar, Mystery, Initiation, Time Space, Transcendence and Cube) which were presented at the Earth Wizards Seminary 1999. 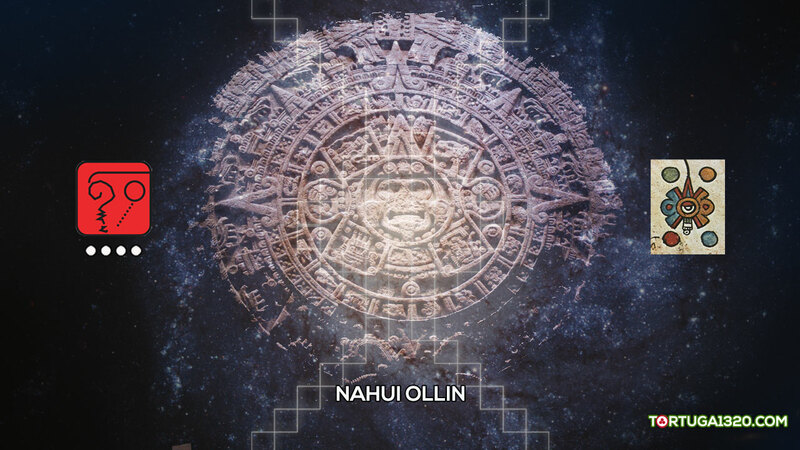 Jose and Lloydine worked on this revelation between 1999 and 2002, which was also referred to as the “Bolon Ik Chronicles of the Matrix.” It is also interesting to notice that Kin 256 + Kin 22 Bolon Ik or 9 Ik (Palenque main deity) = Kin 18 (Ascension day of Queen Tz’akbu, the wife of Pakal, Temple XIII). Kin 260 (13 Sun). The well known Kin which closes the 260-day Tzolkin count and which contains All Kin in One. In the Dreamspell count, this Kin represents the Magic Flight of the 260-day Galactic Spin. Moon Genesis complete. Galactic Free Will Attained! Wavespell 20 of the Yellow Star. Day 1 of the 13-day Wavespell. Today, we “Identify the Purpose” on the Tone 1 of the “Magnetic Gate”. Key Question: What is my Purpose? Unify in Order to Beautify through Art. The Yellow Star! – Tzolkin: Day 248. Column 13 of the 7 Dragon. – Wavespell of the Yellow Star: Day 1. – Galactic Season of the Serpent (Root Element: Red Blood). – Members: Red Skywalker, White Mirror, Blue Night, Yellow Star. – Ik’ = Wind, Spirit, Air, Life, Voice. Following the purpose of this 13-day Wavespell (Beautify through Art), we “Establish Base of Action” during the Days/Tones 2 until 5. Today, we “Identify the Challenge” on the Tone 2 of the “Lunar Chamber”. Key Question: What is my challenge? 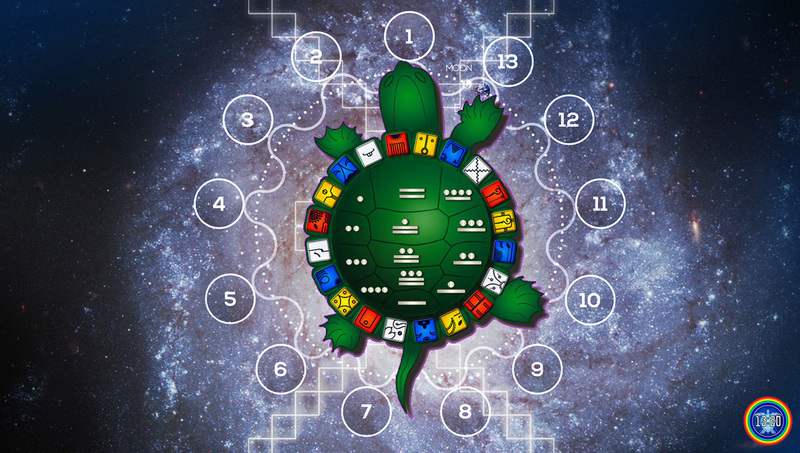 – Tzolkin: Day 249. Column 13 of the 7 Dragon. – Wavespell of the Yellow Star: Day 2. – Members: Red Moon, White Wizard, Blue Storm, Yellow Seed. – Ak’bal = Serpent, Dawn, Darkness, Between Day and Night. This kin opens the Galactic Season of the Dog for the next 65 days. White Truth! Following the purpose of this 13-day Wavespell (Beautify through Art), we “Establish Base of Action” during the Days/Tones 2 until 5. Today, we “Identify the Service” on the Tone 3 of the “Electric Chamber”. Key Question: How can I best serve? – Tzolkin: Day 250. Column 13 of the 7 Dragon. – Wavespell of the Yellow Star: Day 3. – Galactic Season of the Dog (Root Element: White Truth). – K’an = Grain of Corn, Corn God, Food, Net. Following the purpose of this 13-day Wavespell (Beautify through Art), we “Establish Base of Action” during the Days/Tones 2 until 5. Today, we “Identify the Form” on the Tone 4 of the “Self-Existing Chamber”. Key Question: What is the form my service will take? – Tzolkin: Day 251. Column 13 of the 7 Dragon. – Wavespell of the Yellow Star: Day 4. 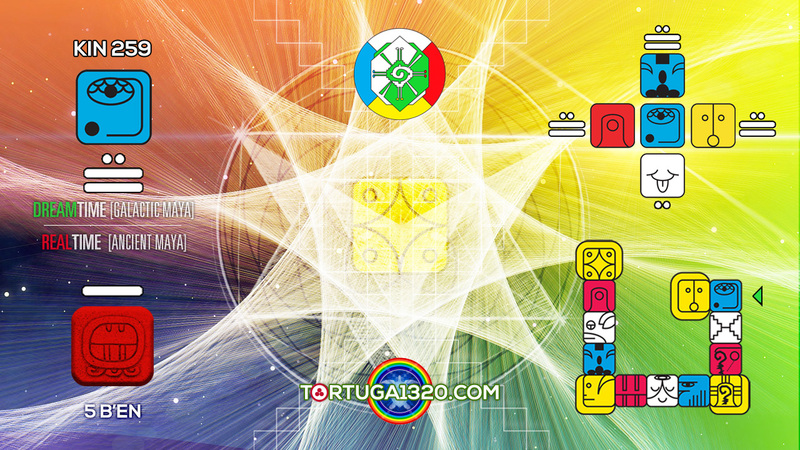 – Members: Red Dragon, White WorldBridger, Blue Monkey, Yellow Warrior. Following the purpose of this 13-day Wavespell (Beautify through Art), we “Establish Base of Action” during the Days/Tones 2 until 5. Today, we “Take Command” on the Tone 5 of the “Overtone Tower”. Key Question: How can I best empower myself? – Wavespell of the Yellow Star: Day 5. 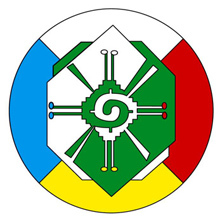 – Members: Red Earth, White Wind, Blue Hand, Yellow Human. Following the purpose of this 13-day Wavespell (Beautify through Art), we “Extend the Rhythm of Action” during the Days/Tones 6 until 9. Today, we “Command Equality” on the Tone 6 of the “Rhythmic Chamber”. Key Question: How can I extend my equality to others? – Tzolkin: Day 252. Column 13 of the 7 Dragon. – Wavespell of the Yellow Star: Day 6. Following the purpose of this 13-day Wavespell (Beautify through Art), we “Extend the Rhythm of Action” during the Days/Tones 6 until 9. Today, we “Command Attunement” on the Tone 7 of the “Resonant Chamber”. Key Question: How can I attune my service to others? – Tzolkin: Day 254. Column 13 of the 7 Dragon. – Wavespell of the Yellow Star: Day 7. Following the purpose of this 13-day Wavespell (Beautify through Art), we “Extend the Rhythm of Action” during the Days/Tones 6 until 9. Today, we “Command Integrity” on the Tone 8 of the “Galactic Chamber”. Key Question: Do I live what I believe? – Tzolkin: Day 255. Column 13 of the 7 Dragon. – Wavespell of the Yellow Star: Day 8. Following the purpose of this 13-day Wavespell (Beautify through Art), we “Extend the Rhythm of Action” during the Days/Tones 6 until 9. Today, we “Formalize Action” on the Tone 9 of the “Solar Tower”. Key Question: How do I attain my purpose? – Tzolkin: Day 256. Column 13 of the 7 Dragon. – Wavespell of the Yellow Star: Day 9. 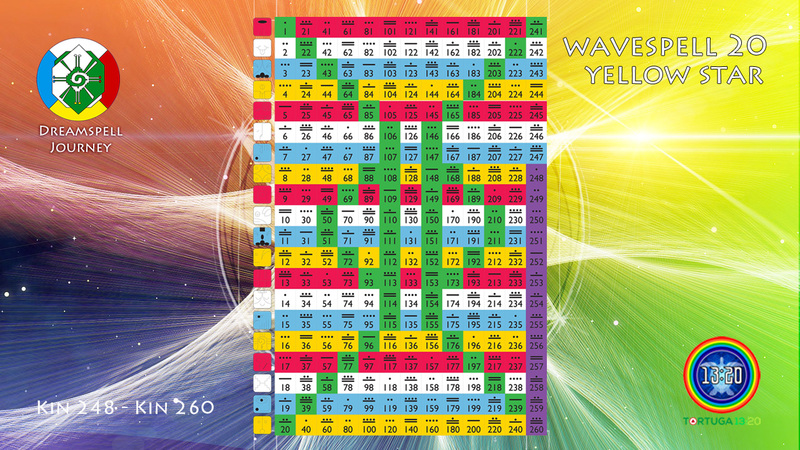 Following the purpose of this 13-day Wavespell (Beautify through Art), we “Convert Action” during the Days/Tones 10 until 12. 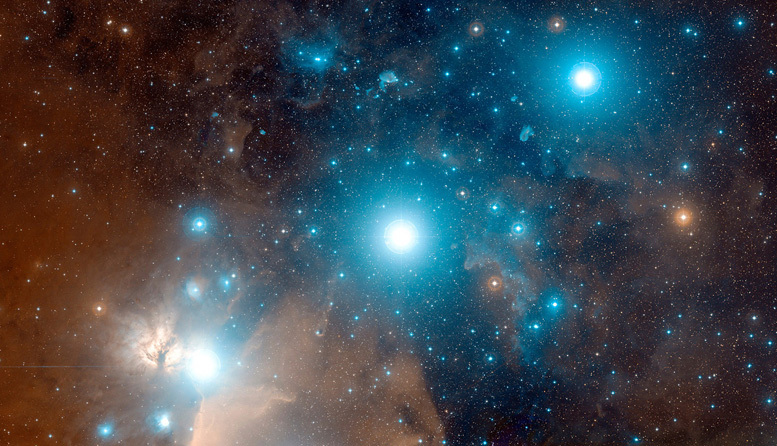 Today, we “Manifest Challenge” on the Tone 10 of the “Planetary Chamber”. Key Question: How do I perfect what I do? – Tzolkin: Day 257. Column 13 of the 7 Dragon. – Wavespell of the Yellow Star: Day 10. 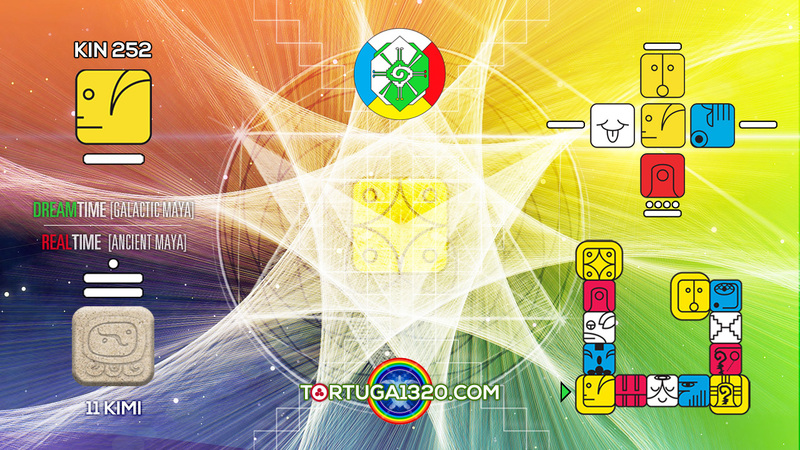 Following the purpose of this 13-day Wavespell (Beautify through Art), we “Convert Action” during the Days/Tones 10 until 12. Today, we “Liberate Service” on the Tone 11 of the “Espectral Chamber”. Key Question: How do I release and let go? – Tzolkin: Day 258. Column 13 of the 7 Dragon. – Wavespell of the Yellow Star: Day 11. – Eb’ = Road, the Sacred Path, the Dew. Following the purpose of this 13-day Wavespell (Beautify through Art), we “Convert Action” during the Days/Tones 10 until 12. Today, we manifest the “Cooperation of Form” on the Tone 12 of the “Crystal Chamber”. Key Question: How can I dedicate myself to all that lives? 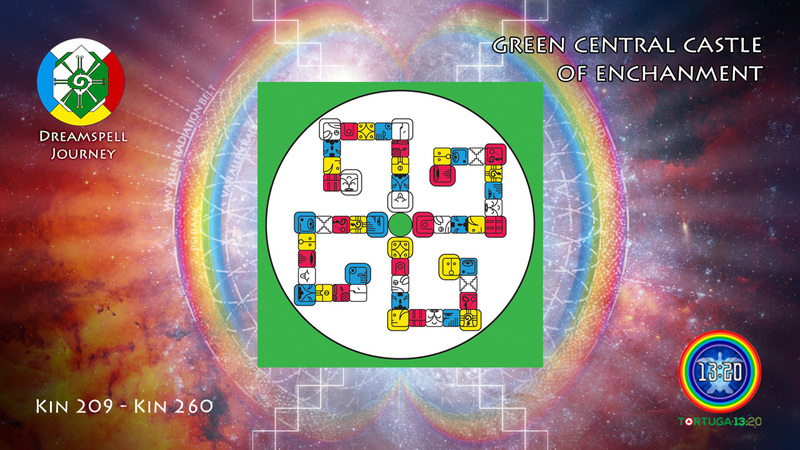 – Tzolkin: Day 259. Column 13 of the 7 Dragon. – Wavespell of the Yellow Star: Day 12. Magic Flight! Moon Genesis complete. Galactic Free Will Attained. Today we “Transport” and embody the purpose of this 13-day Wavespell (Beautify through Art) on the final Day/Tone 13. Today we “Take Magic Flight” on the Tone 13 of the “Cosmic Gate”. Key Question: How can I expand my joy and Love? Magic Flight! Moon Genesis complete. – Tzolkin: Final Day 260! Last Column 13 of the 7 Dragon. – Wavespell of the Yellow Star: Day 13.